The other brothers, Rus' and Czech, didn't share Lech's affection for this land. Rus resolved to turn back east, and Czech to turn left, to the south, to look for the greener pastures. Thus began the story of three great nations - Lechistan (Poland), Czechia (Bohemia) and Rus (Russia, Belarus and the Ukraine). 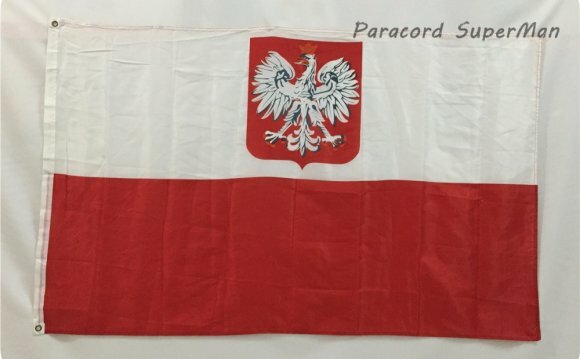 The first, documented, flag (war banner) comes from the time of the rule of the Piast King, Przemysl II (Premyslas-Premislaus), who was crowned in 1295. and then assassinated the next year in 1296. When Prince Przemyslaw II was crowned on June 26, 1295, he introduced the white eagle to the royal seal as an emblem of the united Kingdom of Poland, and according to the political and legal doctrine of the Middle Ages, the monarch symbolized the state. Consequently, the personal sign of the ruler became the symbol of the lands and people under his authority.